Oil flows toward the ocean from an inland oil spill near Refugio State Beach on May 20th, 2015, north of Goleta, California. 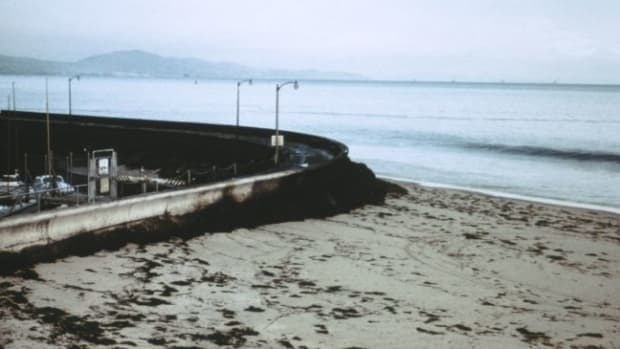 A jury returned nine guilty verdicts on Friday in a trial against Plains All American Pipeline, the company whose corroded pipe poured 142,000 gallons of crude oil onto the beach and into the ocean in Southern California in 2015. 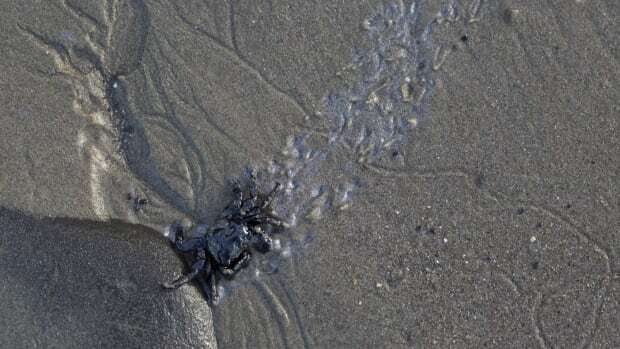 The oil spill at Refugio State Beach—the state&apos;s largest in 25 years—shut down campgrounds for two months and sent tar balls as far as 100 miles south. Plains All American now must pay a penalty, on top of clean-up costs (although Plains lawyers indicated they would seek a retrial, the Santa Barbara Independent reports). The amount will be decided at a sentencing, scheduled for December 13th. 1. It spurred the passage of three state laws, that same year, that tightened requirements for pipeline inspections and oil-spill response plans. 2. It has served as inspiration and a talking point for the state&apos;s opposition to the Trump administration&apos;s attempt to open up federal waters offshore of California to oil and gas drilling. 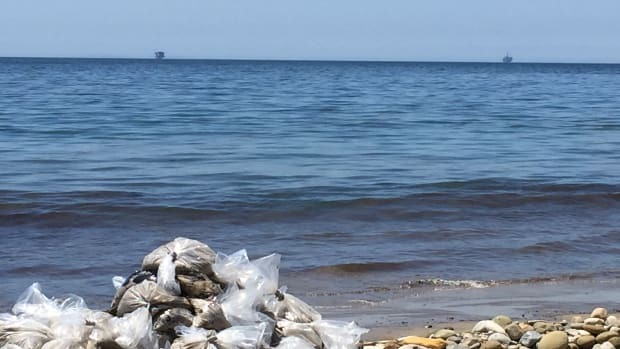 "This spill has definitely been a factor," says Linda Krop, chief counsel for the Environmental Defense Center, located just 25 miles down the coast from the site of the spill. The Environmental Defense Center represents two local environmental groups in suits opposing offshore fracking. 3. It triggered one local environmental group to undertake a long-term monitoring study. The ocean floor offshore of Refugio and Santa Barbara, California, is home to natural oil seeps. 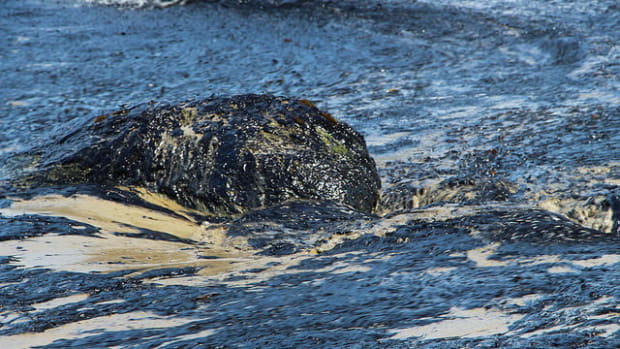 Tar balls occasionally wash onshore even in the absence of any pipeline leaks. 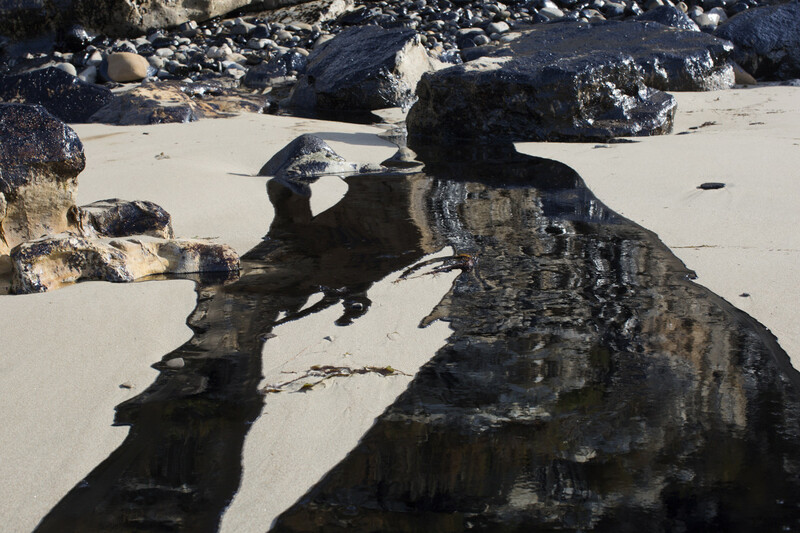 In the aftermath of the Refugio spill, however, environmental groups began getting calls from locals sure that they were seeing more tar than usual. 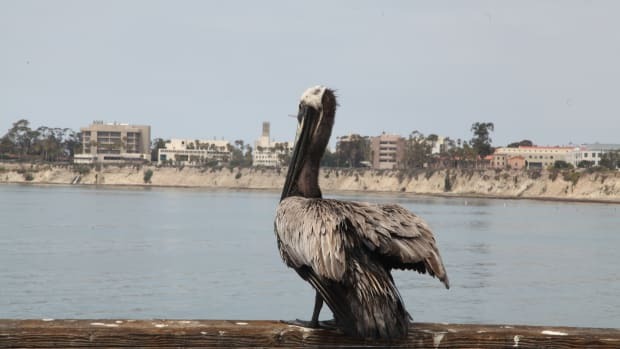 It&apos;s possible to differentiate natural oil seepage from Plains All American&apos;s product via chemical analysis, but government agencies were reluctant to do the requisite testing, according to Kira Redmond, executive director of Santa Barbara Channelkeeper. Instead, Redmond&apos;s staff has started undertaking quarterly surveys of how much oil appears at 16 beaches along California&apos;s south coast. "So we&apos;ll have a baseline, moving forward, of what, during each season, constitutes normal tar-ball coverage on different beaches," Redmond says. If there&apos;s a spill in the future, they&apos;ll know when an unnatural amount of black stuff begins showing up onshore. The Pipeline and Hazardous Materials Safety Administration has scarcely more staffers than the agency responsible for America's 59 war cemeteries.